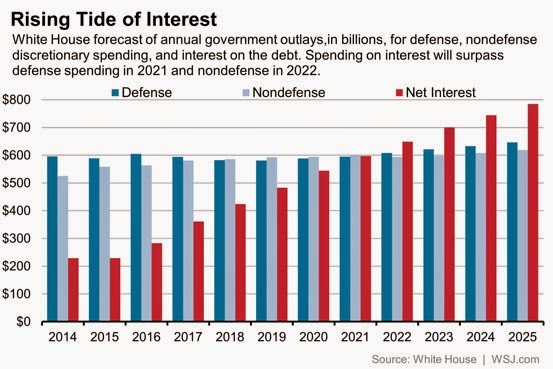 US government interest costs are poised to surpass defense and nondefense discretionary spending. Just wait till interest rates go up!!! Bankruptcy, here the USG comes!